No matter what style of yoga you practice, the human body has a set of rules that apply across the board. How your tissues work, what stress they can sustain, where the risk of injury is highest...there is commonality across all bodies, even though each person will manifest them in individual ways. In this series of workshops you'll learn about the basic structures that connect us all, and identify the individual differences that make us and our personal practice unique. You'll come away with immediately applicable adjustments to poses that may have felt familiar, but need some personal touches. In the interest of health, safety and optimal performance, these workshops offer insights for your own practice and your approach to teaching yoga in other bodies. Workshops will be a combination of discussion and practice. An introduction to basic physiology, kinesiology and terminology specific to the practice of yoga that will serve as a foundation for the weekend’s in-depth exploration of three key regions of the body. The spine is intricately designed to move in very specific ways, though we often exploit the soft spots in order to go further into our yoga postures. 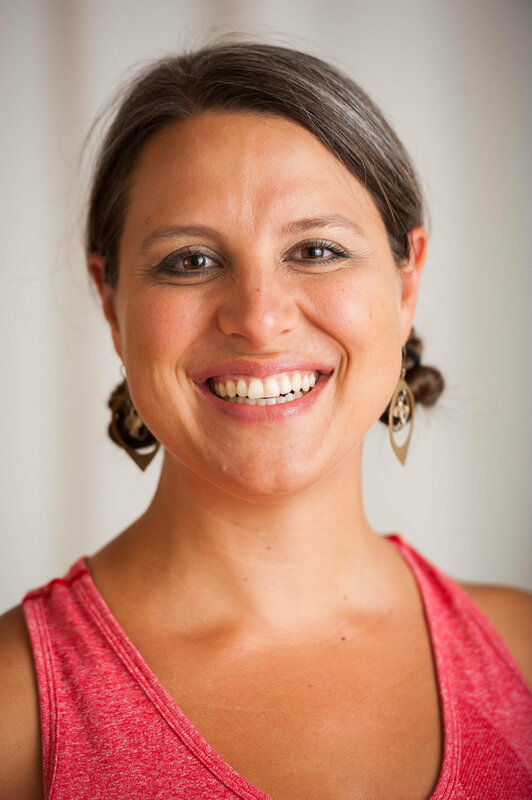 Richelle will teach you about the structure and nature of your spine to ensure that you move through your yoga practice with the efficiency and safety that will keep you on your mat for a life time. Though the hip joint is the major weight bearing joint in the body, we spend a ton of time in yoga class trying to increase it's range of motion through "hip openers". Richelle will teach you about the engineering of the hip, sacroiliac joint and lower extremity in order to help you find safer alignment for your structure. You'll gain a better understanding of how and why to balance out the strength and length of the hip's musculature to ensure stability and integrity on and off the mat. The shoulder is remarkably complex in its design and allows for a dynamic range of motion. As yogis, we use the shoulder and upper extremity in extreme ways that it wasn't originally built for. To use it safely in weight-bearing postures like inversions and arm balances, we need to understand both its structure and the nature of its movements. Richelle will help you break it down and put it back together so your alignment can help support you rather than hold you back with injury and chronic pain. Richelle Ricard (LMP, RYT) has been studying, practicing and teaching within the bodywork and yoga world since 1994. Her career began in sports medicine, moved on to a focus on clinical massage therapy in 2000, and has been teaching and developing anatomy curriculum for yoga students, teachers and teacher trainees since 2007. Her anatomy curriculum has been taught in workshops, YTT programs, and advanced trainings across the USA , Canada, and the UK. Her own practice is one of unification between the physical and the ephemeral, though her true passion is making the intricate workings of the body in yoga accessible to the masses. She is currently writing an anatomy manual that will be essential reading in any YTT. Her charismatic approach to teaching makes even the most dry information seem fascinating. She hopes to build within her students a deep curiosity about functional movement, safe practice, and the nature of the human body that lasts long after they leave the classroom, and drives them to continue seeking deeper understanding.